Dental implants are the most natural and comfortable way to replace missing teeth or to stabilize a denture or a partial. Dr. Dan Schmidt, Dr. Andy Schmidt, and Dr. Anna Marr can restore most any type of implant to natural function, leaving you feeling confident and comfortable with your smile. If your smile is something that you hide from others, implants may be the best way to get you smiling again. We offer numerous types of implants and restorations to rebuild your healthy, confident smile. Implants may be used to replace a single tooth, create a bridge, or to secure that denture that always felt loose. 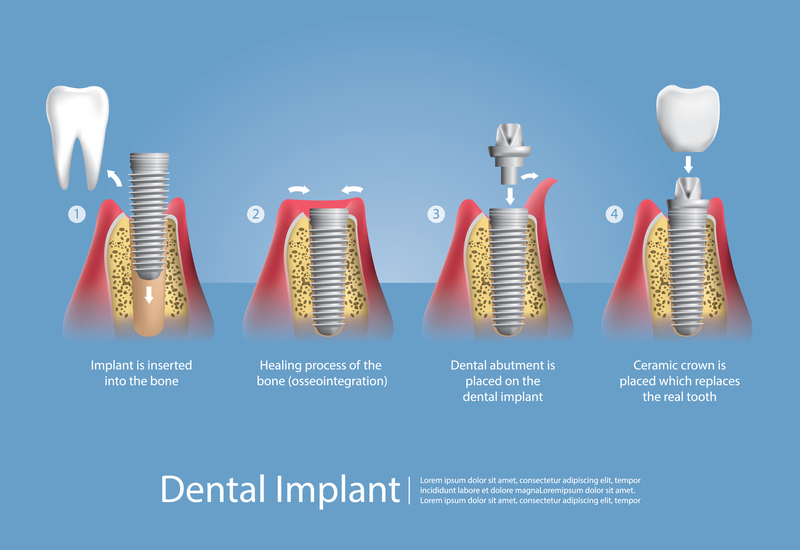 The type of implant that is best for you depends on the amount of bone available for implant retention, your overall health, and the final results that you, as the patient, are looking for. Our doctors will complete a thorough exam to help you choose what type of implant fits your needs. Dental implants look and feel like traditional teeth because they are anchored within the bone and will not become loose like dentures can. Dental implants are designed to be stronger than your actual natural teeth. Teeth are known to shift within time. Implants are designed to not move and remain in position. The implant allows your jaw to maintain it’s original structure, and it helps prevent bone loss. Dental implants typically end up being the most cost-effective treatment with time, as they are meant to last a lifetime. Unlike dentures and bridges, you never have to replace or get re-fitted for an implant. Dental implant placement has been the most significant advancement in the past 25 years of dentistry. Thousands of patients are grateful for the opportunity to replace missing teeth the most natural way by using dental implants to give them back the smile they’ve been missing. Call us today at Auburn Dental Associates for your implant consultation.